Relax with the in-room entertainment system and 40-inch flat-screen LED Smart TV. Enjoy our large, well-ventilated bathrooms and Appelles bathroom treats. When required, work away at a writing desk with additional power points for laptops, mobile phones and iPods, plus bedside iHome docking station/radio alarm clock with universal connections for all audio devices. All guest rooms are fitted with a sleek Lavazza Amodo Mio Coffee machine for you to enjoy a delicious espresso. Alternatively, you will have all you need for a relaxing cup of T-Bar tea. Double beds are king-sized, with an additional rollaway bed for each room available upon request. All our room rates include Wifi, unlimited movies, phone calls, a range of delicious sweet & savoury snacks and refreshments. There are also no additional fees for credit card payments. • Our popular Comfy King and Comfy Twin rooms are 35-square-meters in size, with either a single king-sized bed or two generous single beds - both with walk-in showers. • The elegant Plush King suites and bright Flinders King suites are 40 & 45-square-meters in size respectively. Each boasts a king-sized bed, and larger bathrooms with double vanities and a separate bath and shower. 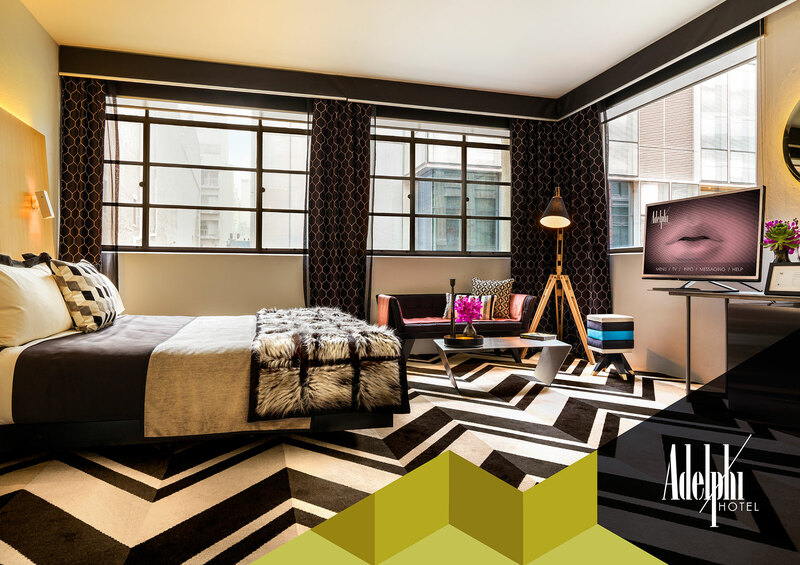 • The Flinders King Suites feature additional furnishings and windows overlooking Flinders Lane, which allow an abundance of natural light to permeate. • The grand Palatial Suite is the largest and most luxurious of the options - 100-square-meters in size, consisting of one main bedroom with bathroom, separated by a corridor from a lounge area and an additional powder room. The bedroom is the same size as our Plush Suites, with a king-sized bed (two additional rollaway beds available by request) and a large bathroom with double vanities and a separate bath and shower. Across the hall, facing Flinders Lane, the light-filled lounge room features palatial furniture, a giant 55-inch flat-screen LED Smart TV, a well-stocked mini-bar, and an espresso coffee machine. Our Accommodation rates and packages vary based on demand and peak event periods. You can purchase a voucher for any amount listed below and know that it can be used at any time (as a reduction on the rate booked). All rates include as standard: minibar, unlimited movies, wifi and phone calls. * Please note that a transaction fee will apply for credit card payments. Please enter your details below. The receipt for your transaction will be sent to the address you enter below. Please enter the details that you would like to appear on the gift voucher. The email address below will be used to send the voucher. If you are purchasing the voucher for yourself or would like it emailed to you, please enter your details below.